With Norwegian Air starting direct flights from Baltimore, New York and Boston to Martinique and Guadaloupe this winter, and with fares as low as $49 each way, the opportunity to take a quick getaway in the sun just got a lot greater. 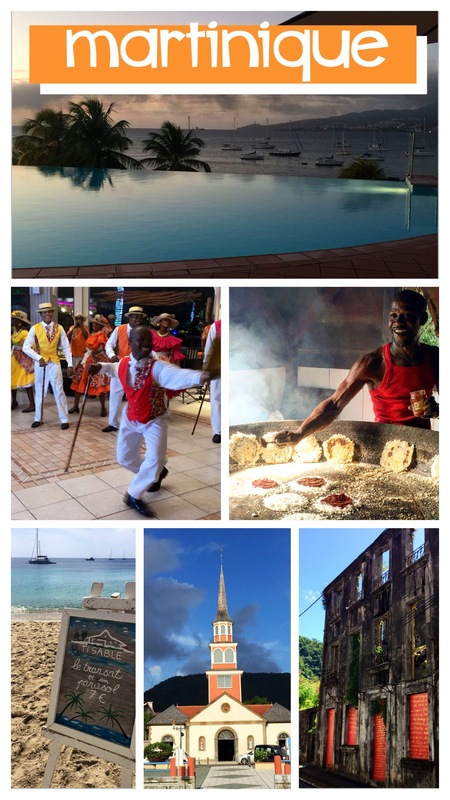 We were lucky enough to be on the inaugural flight from Baltimore’s BWI airport to Fort-de-France in Martinique, and we can confirm that it is an easy flight from one of our favorite international airports. The international terminal at BWI on a Friday morning has very little traffic, so there was no line for TSA screening. At all. As it was the first flight, there were a few kinks in the boarding process, but I’ll bet they have those worked out by now. The plane itself was a brand new one, with plenty of leg room. The overhead bins seemed a little small, and as this is a low-cost carrier, they are a little stingy with carry-on bag size anyway, so plan appropriately. Remember your passport. Martinique is part of France. Bring a converter plug for your electronics. France, and Martinique, uses 220V, and a plug with two round plugs. Call your bank to let them know you’re traveling internationally so that they don’t freeze your credit or debit card. Don’t forget the sunscreen. You know this. Nothing ruins a trip like a bad sunburn. Forget the all-inclusive luxury resort idea. Other than the aging Club Med on the island, most of your options are hôtels de charme – small, independent hotels with fewer than 20 rooms. As the name implies, they are often quite charming. La Bakoua – beachfront resort with a sweet tiki bar on the water (which for some reason closes in the evening). This is where airline staff stays. The beachfront rooms are worth the price ($200-300 per night). Le Cap Est – beachfront resort facing a turquoise lagoon on the East Coast of the island. La Suite Villa – quirky but high-quality suites and villas on the hillside overlooking the bay. Outdoor bathtubs and jacuzzi up the romance factor. Le Domaine St Aubin – A gorgeous estate house hotel in the center of the island but not far from beaches. Speak French! Or smile when you speak English. The people of Martinique are French citizens, and they do speak French. Many of the tourist-oriented places will have English-speaking staff, but if you find yourself at a language impasse, just be friendly and make an attempt to communicate. The Martiniquans are extremely friendly people. You’d be surprised what you can accomplish with hand signals and a smile. Rent a car, but be prepared for traffic. The roads are fairly well-marked around the island, and having a car will allow you to explore more beaches and inland trails, but be aware that the traffic around Fort-de-France can rival the gridlock in any big city. Bringing the kids? Check out our ideas for things to do with kids in Martinique. Duty-free rum. The rhum agricole produced in Martinique is some of the best in the world, and you’ll want to share memories of your Martinique joy with jealous friends back home. The duty-free shop in the airport opens early enough for your early flight out of Fort-de-France, and they conveniently make you walk through it on your way to your gate. They do offer many local rums in the shop, and many that are not available in the U.S., at reasonable prices. Go ahead and book your next trip. At this price, you know you’ll be back. I m french and work as a tour guide in Martinique. See my profile on Viator. If you are satying a few days I highly recommend you to hike the mount pelee, to visit saint pierre, to visit at least one active rhum distillery, to practice scuba diving, to discover Le canal des esclaves, and to visit the habitation clement. We stayed @ your recommended Le Domaine St Aubin for a night on my trip back in February. The sweeping views of the sugar cane fields go for miles all the way down to the ocean. The scenery is dramatic. The plantation house was charming and we had a French breakfast the next morning. Wonderful! Self-driving was ‘ok’. It was fairly easy outside of Fort-de-France (quite stressful) but you should invest in a map and a couple of the deadend side roads were challenging. Get out of Fort-de-France…the fun is OUTSIDE the city. Wonderful! So glad you enjoyed it. It’s good to know the self-driving option was ok. The traffic in Fort-de-France was pretty atrocious.